The largest ground formation performed by USAF aircraft during the recent exercises. 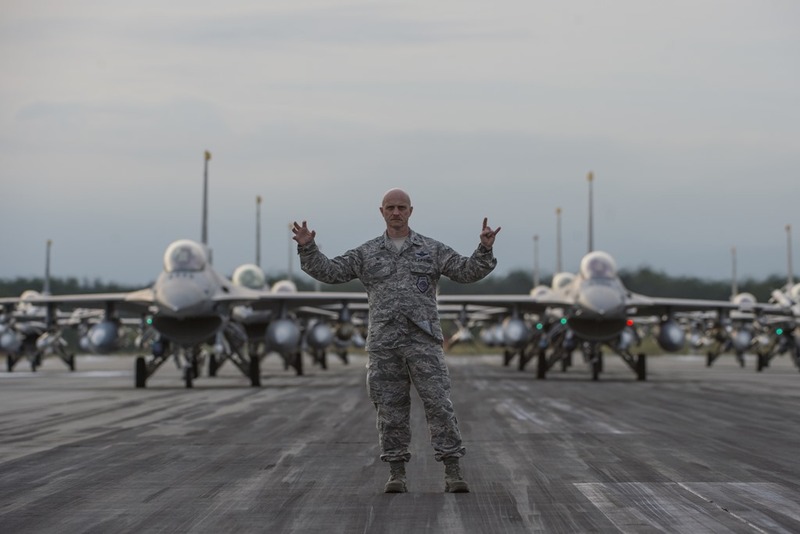 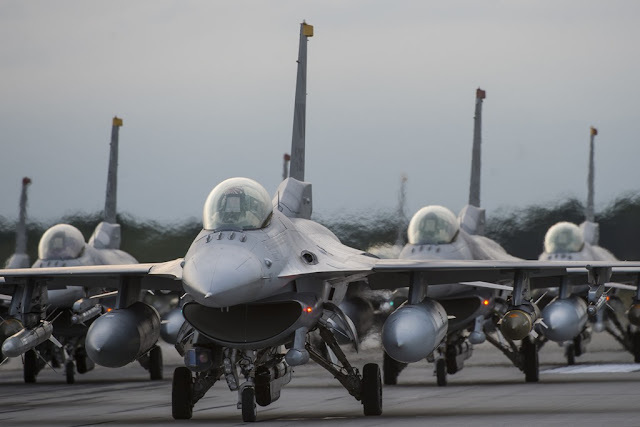 During the exercise Beverly Sunrise 17-07, 18 F-16 Fighting Falcons from the 13th and 14th Fighter Squadrons, lined the runway in a so called "Elephant Walk" at Misawa AFB, Japan, Sept. 16, 2017. 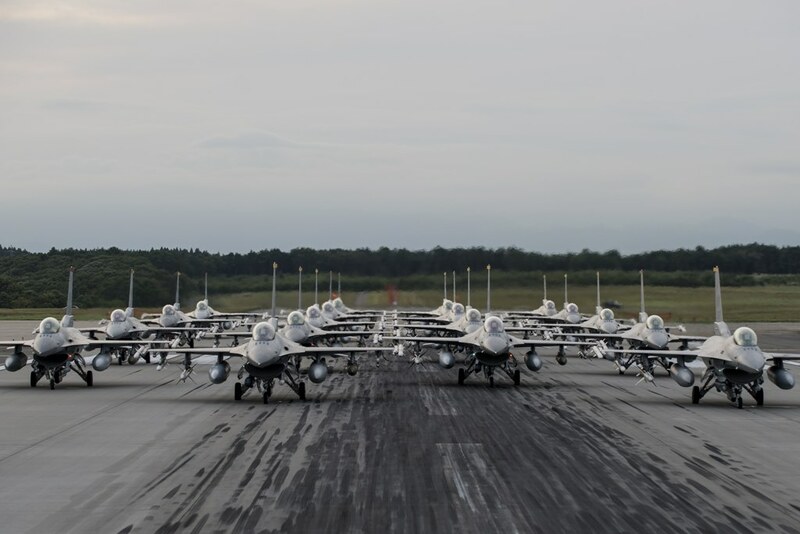 The term “Elephant Walk” has been used since World War II when large numbers of aircraft would line up for rapid response take-off. 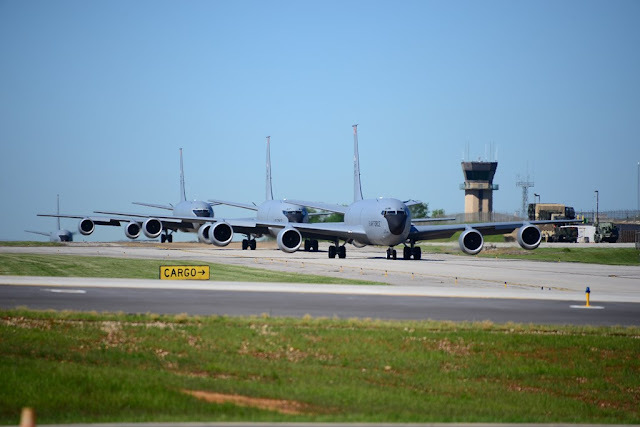 Onlookers said the procession looked like elephants headed to a watering hole, and the name has been part of the U.S. Air Force lexicon ever since. 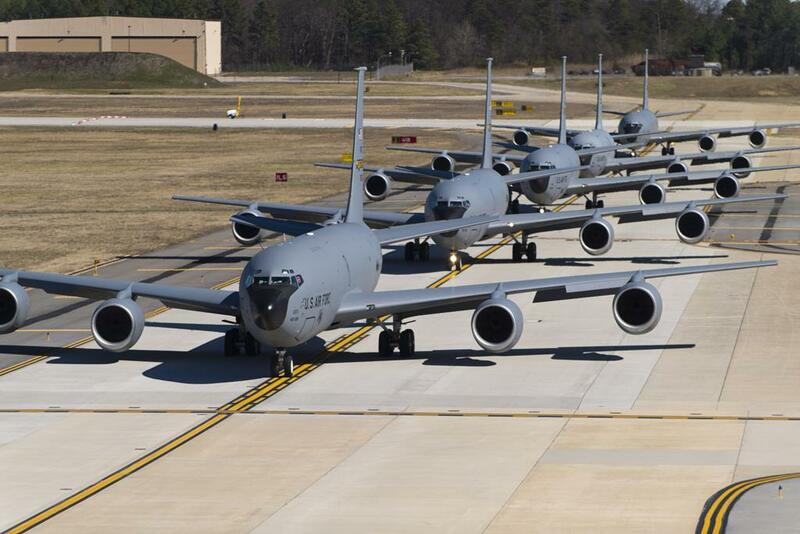 During the current year many heavy ground formation were composed by USAF aircraft. 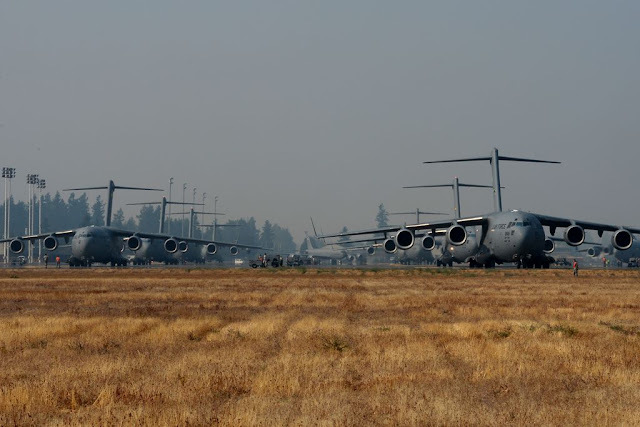 Multiple C-17 Globemaster III's participated in an elephant walk during Exercise Mobility Guardian at Joint Base Lewis-McChord, Wash, Aug. 2, 2017. Four KC-135R Stratotankers from 134th Air Refueling Wing ran the taxi in formation during an exercise at McGhee Tyson ANG Base, Tennessee, July 2017. Five KC-135R Stratotankers from 459th Air Refueling Wing conducted an elephant walk during an alert exercise at Joint Base Andrews, Maryland, March 5, 2017.